Eskom Board Chairperson Jabu Mabuza continues to testify before the Commission of Inquiry into State Capture. Earlier, Mabuza said Eskom suffered financial loss and reputational damage due to the guarantee that the power utility offered to Tegeta. He said Eskom had to pay R650 000 per quarter to the bank while the guarantee was in place. Mabuza said he did not understand how the old board could have authorised the guarantee to Tegeta as a supplier. He said the new board had taken action against Tegeta contracts. Criminal charges have also been laid and handed to the Special Investigating Unit and the Hawks. 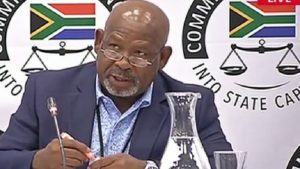 The post Eskom’s Mabuza continues testimony at State Capture Commission appeared first on SABC News – Breaking news, special reports, world, business, sport coverage of all South African current events. Africa's news leader..